Definition at line 838 of file ordinal.c. Definition at line 840 of file ordinal.c. Definition at line 844 of file ordinal.c. 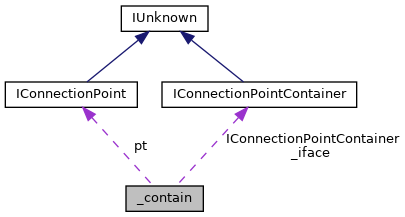 Referenced by Contain_FindConnectionPoint(), Contain_Release(), and EnumPt_Next(). Definition at line 843 of file ordinal.c. Definition at line 841 of file ordinal.c. Referenced by Contain_AddRef(), and Contain_Release().